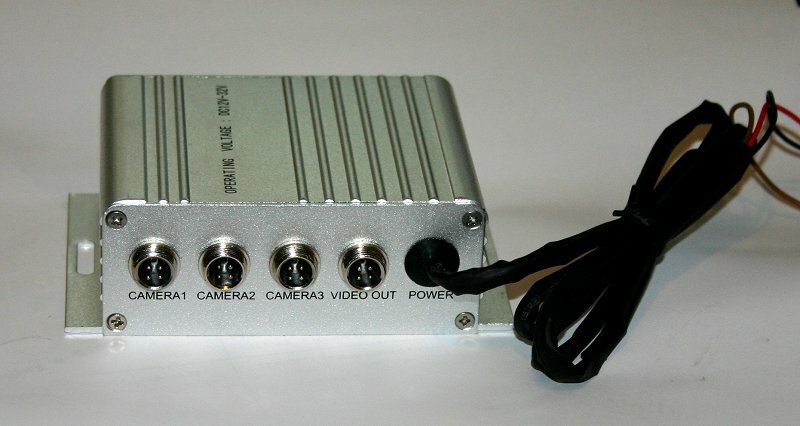 This unit allows you to connect three cameras into one video input. The reversing camera would be connected into "Camera 3" input so that when reverse gear is selected, that image will show on the screen. You can select which of the three cameras shows on the screen by continually pressing the Function Switch. There is also a function whereby camera one and camera two's image will alternate on the screen at a preset delay time. 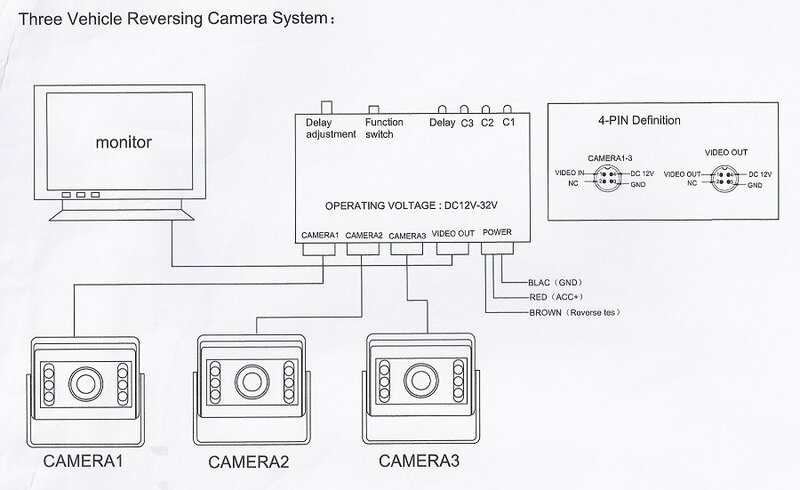 The camera and monitor connections are the 4-pin type, and it comes with one 4-pin to RCA/Phono adapter cable. Other adapter cables can be purchased seperately if required. 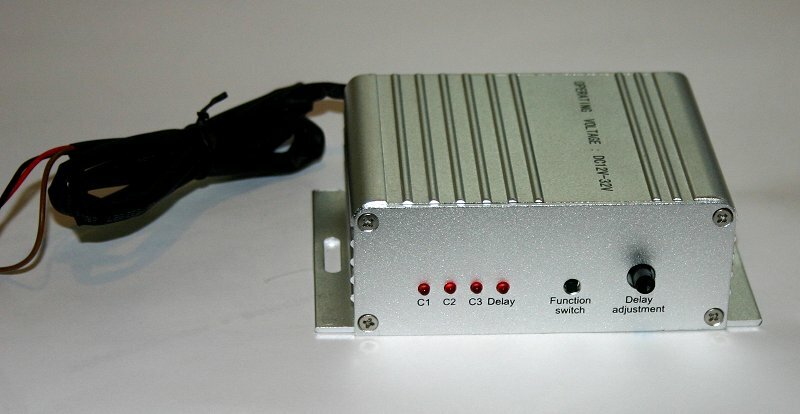 Working voltage is 12v to 32v DC, and it has self protection if it is short circuited.